There are policies in Saint John of God Community Services to guide staff on how they should work. We hope to develop different videos to explain the policies. 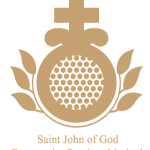 In addition Saint John of God Community Services clg is committed to upholding the rights of each and every person who uses or participates in our services and supports. 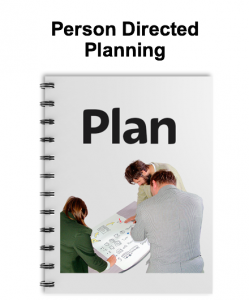 We are committed to supporting individuals access the rights that are most important to them. 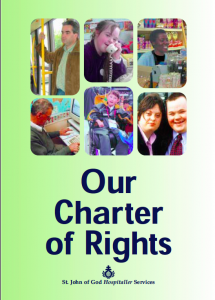 Our Charter of Right was established by Saint John of God Community Service Limited to make sure that service-user have the same rights as everyone else. Our Charter of Rights forms the contents of this document. Each section has two parts, the rights of the individual as laid out in the charter and the responsibilities that are attached to that right. Values in Practice is a guide that informs people who use or participate in our service of their basic human rights. 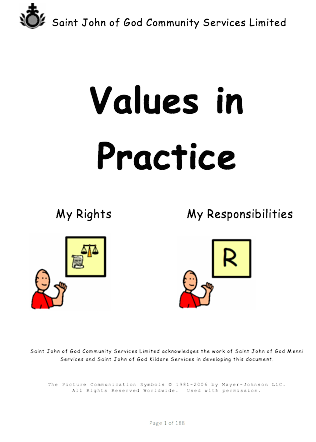 Our Values in practice are designed to support the basic human rights of the individual service-user. These values are commitments made by Saint John of God Community Services Limited to the individual service-user. The Saint John of God Community Service Charter of Rights Document has been used to help develop the Values in Practice document. 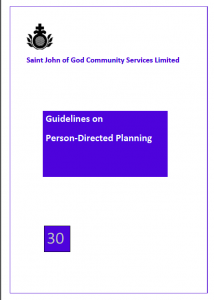 Our Values in Practice outline what an individual service-user can expect from Saint John of God Community Services Limited in accessing their rights. They have been included in this website with each of the rights that they support.